‘He’s just feeling it’ is no longer an acceptable explanation of musical ability. 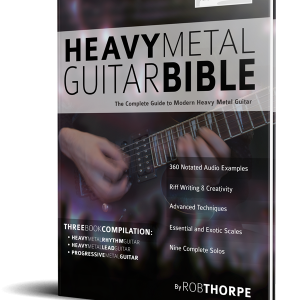 This book breaks down melodic feel and phrasing into learnable skills. 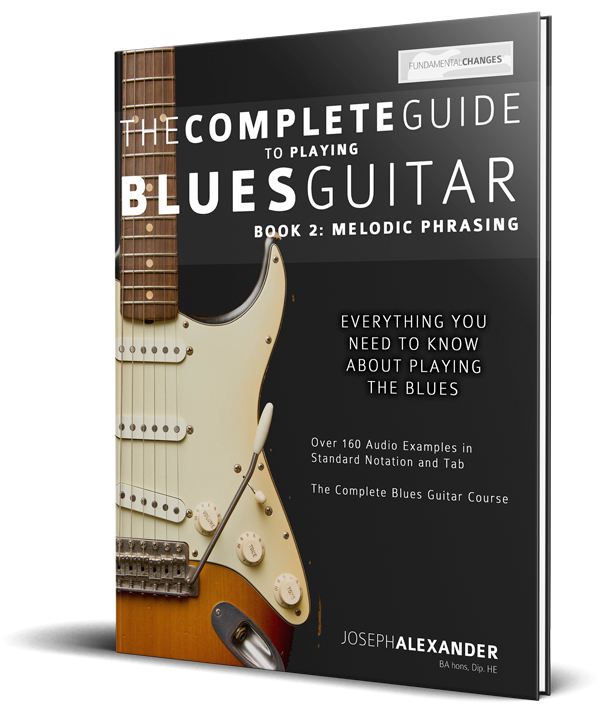 Whether as part of the Complete Guide to Playing Blues Guitar Series, or as a stand-alone work, Melodic Phrasing takes you on a journey through every aspect of musical phrasing. We all have the same 12 notes…. It’s how and when we play them that sets the masters apart from the amateurs. We all know it’s important to learn the licks and vocabulary of the musicians who we wish to emulate, but in order to develop a unique voice we must learn how to phrase our lines in a personal way. 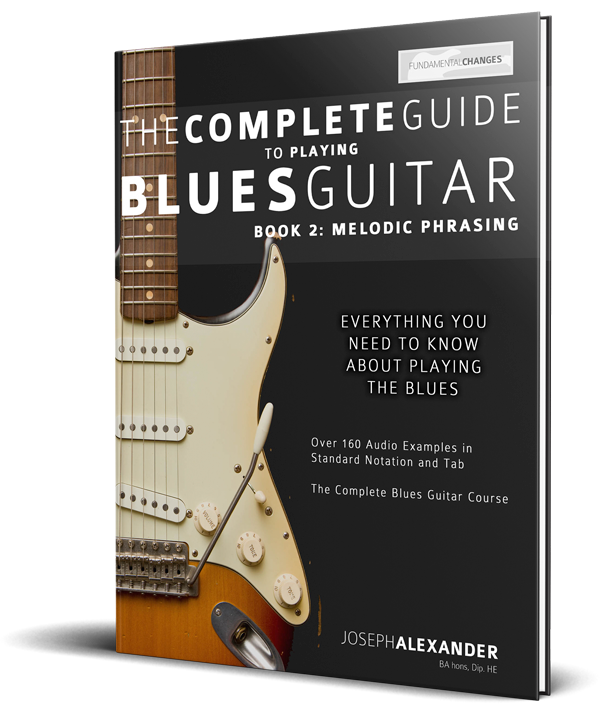 Melodic Phrasing teaches you hundreds of ways to treat even simple lines to make the music your own. Melodic Phrasing challenges our perception of what blues soloing is. 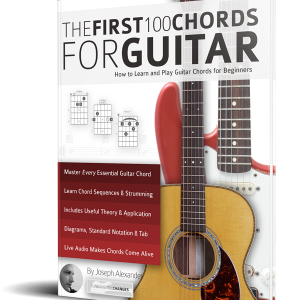 No longer will you be ‘chasing licks’ around the fretboard; struggling because you couldn’t quite execute or remember the line you were reaching for. 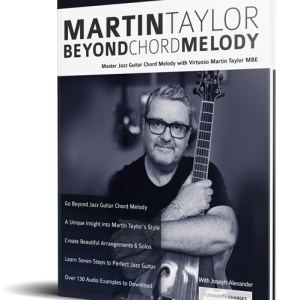 In this book you will learn how to develop and control fundamental rhythmic fragments to create and drive your solo forward. By focusing on rhythm and phrasing, and by learning to combine and develop these rhythmic building blocks, the melodies will take care of themselves. This is a natural, organic approach to developing your guitar soloing where you learn to truly improvise and break away from the prison of ‘lick playing’ or just ‘exploring’ the minor pentatonic scale. 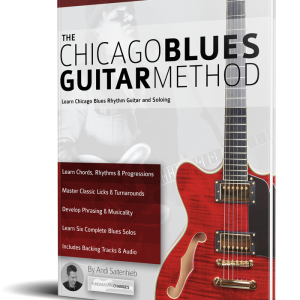 After working through this book you will never ‘run out of licks’ again; you will be able to create interesting, emotive, musical phrases whenever you want, and keep the audience coming back for more.